This is one good looking app that I wanna introduce to you guys. 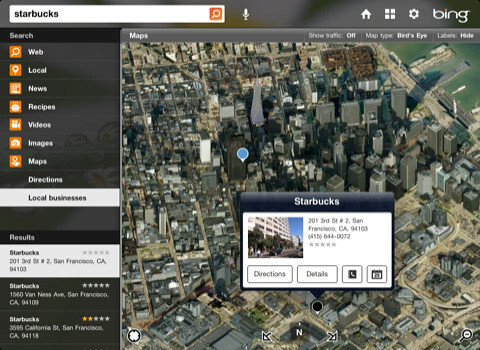 It’s Bing search app for the iPad. 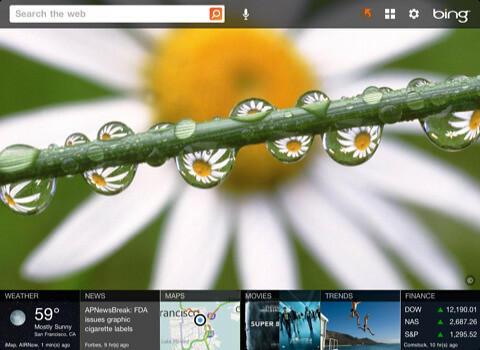 Bing is a decision engine that’s been designed to work beautifully with your iPad. Bing for iPad brings you closer to what you’re looking for by delivering a visually rich, touch-enabled way to search and browse news, movies, Bing homepage images, local businesses, popular searches and much more. I like one of their new feature which is Lasso. Drawing a circle around a text will initiate the search and results will appear right after you lift your finger off the screen. Super easy. No need to copy and paste.